Climate change, refers to the rise in average surface temperature on Earth. There is scientific consensus that anthropogenic activities such as the use of fossil fuels which releases carbon dioxide and other Greenhouse Gases into the air are prime reasons for the changing pattern in Earth’s average climate variation. The gasses trappedon the surface of Earth can have a wide range of effect on ecosystems including rising sea levels due to melting of glaciers, severe weather events, drought, urban flooding etc. The international community has recognized the dangers of climate change and at the 2015 United Nations Climate Change Conference held in Paris, there were 194 signatories and 117 parties to ratify the Paris Treaty agreeing to reduce the Greenhouse Gases emission. 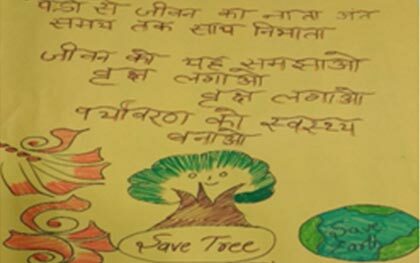 Indian government is committed to address the climate challenge through the 8 missions established under the National Action Plan initiated in 2008. All the States and Union Territories have also been directed to prepare the State Action plan to combat the local climate issues. The term gender is generally used to conceptualize the socially and culturally constructed roles and relationships as discriminated by sexes assigned at birth. Mostly due to the lack of access toresources and pre-determined socio-economic situation, there has been a general tendency to treat and recognize women as weaker than men. While this is more prevalent in the rural areas or areas which lag behind in education, inequality exists in urban areas too despite continuing efforts of promoting equality of sexes by the government and other organizations. There is also dearth of women taking leading roles in formulations of any social policies due to pre-determined roles by the society, lack of access to resources and other factors impeding gender inequality.While Gender Mainstreaming is a globally accepted approach, initiated by the UN and adopted by most of the countries, significant gaps exist in climate change policies to cater to the different needs of women and men with respect of mitigation as well as adaptation. The situation is still worse at the State level since the gender mandates are not adequately filtering down in the form of stringent policies or implementation plans. 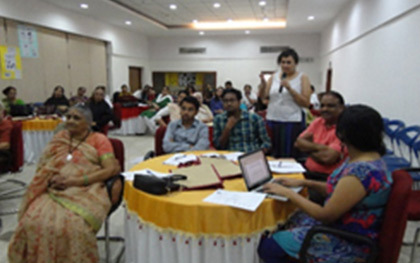 In an attempt to close the gender gaps and explore options for integrating gender and social issues into urban climate policies, All India Women’s Conference (India) collaboration with Gender CC, Germany, has initiated Gender into Urban Climate Change Initiatives (GUCCI) project in pilot cities, Mumbai and Delhi. Through capacity building and development of policy recommendations, the project seeks to strengthen citizens’ capacity to get involved in local government planning process and implementation, inclusiveness and acceptability of local mitigation and adaptation policies. This is a three year project by Gender CC as a part of the International Climate Initiative (IKI) supported by German Federal Ministry for the Environment, Natural Conservation, Building and Nuclear Safety. The project is also being implemented in Indonesia and South Africa. Research: Under this project AIWC has conducted two major research at policy level and community level. The Status Quo Reports of Delhi and Mumbai present the picture of Delhi and Mumbai’ policy frameworkson climate change. AIWC has also conducted multiple interviews with various government departments of both the cities to discuss the climate change issues and gender impacts. 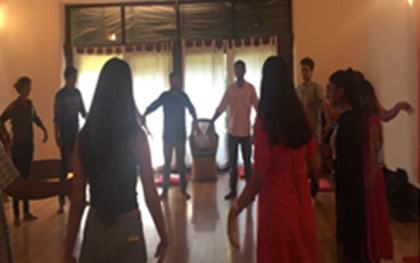 Currently, AIWC is working on a comprehensive Gender Impact Assessment Report on Delhi and Mumbai which will explore the policy planning and implementation through a gendered lens. 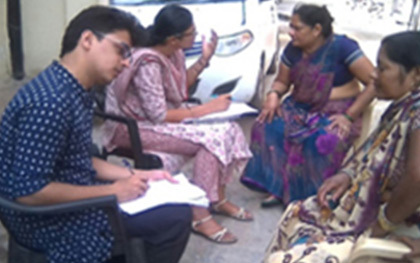 AIWC has also conducted a survey in Budh Vihar Community in Rohini New Delhi, where interviews with more than fifty families were conducted on climate change and importance of gender.